SPECIAL OCCASIONS are indeed special at Eagle Vale. Flexible is how our clients describe our staff. Whatever your event – retirement party, graduation, birthday, bar/bat mitzvah, holiday party, bridal shower, rehearsal dinner, or any other special occasion. 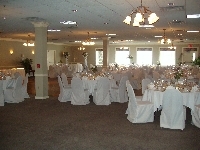 Eagle Vale will take the time to make your event individualized to suit your needs. We will personalize the room, food and beverages to enhance the occasion being celebrated. Our staff remains flexible in meeting your personal requirements in all aspects of your event. Feel free to contact our professional staff at (585) 377-5200 or using our convenient online form to see how we can tailor a package to meet your individual needs.